Here are some helpful hints to assist you in the planning of your successful event ! When choosing the date for your event, check if there are no other scheduled events for the same date and location that could conflict with your event. How will participants get to your event? Is there public transport or parking available? 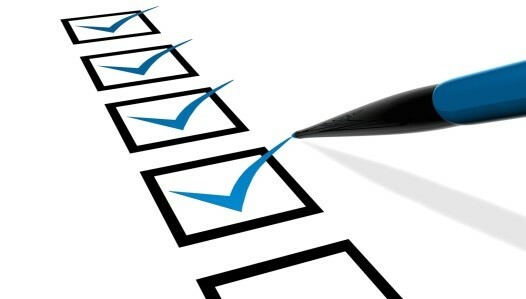 Make sure you complete a risk assessment involving all key stakeholders prior to your event. Don't forget to ask your delegates if they have any special dietary requirements and advise the Caterer. Consider "eating fads" may incur additional fees. If your event is an outdoor event, you will need to comply with security and health and safety requirements. Prepare an event budget in advance ensuring that you have an allowance for miscellaneous costs and expenses. Remember to check to see what is or isn't included in the price of the venue. Create a comprehensive event agenda outlining your event goals and develop a realistic timeline. It is also a good idea to design a plan of your venue or event site in advance. Remember to obtain written confirmation from all your event contributors. Make sure you prepare scripts or run sheets for your speakers in advance and arrange rehearsals if required. Obtaining sponsorship deals that are relevant to your event can be a great way of building and promoting your brand awareness to a wider and targeted audience. Identify potential sponsors and create a sponsorship proposal that is concise and outlines the benefits to your potential sponsors. Remember to follow up potential sponsors within a week of sending out your sponsorship packages. Once you have your sponsorship deals in place, ensure that you acknowledge your sponsors and use sponsor testimonials to maintain a good working relationship. Your event marketing should create a buzz around your event, get your registrants engaged and talking about it long before it takes place and maintain that momentum after it finishes. When developing your marketing plan, do your research and outline the appropriate channels where you'd like to concentrate the majority of your marketing efforts. Your event website is your biggest promotional tool. Ensure event information and content are kept up to date at all times on your website. Remember to post the event schedule, session highlights, sponsors' and contact information on your site. Don't forget to integrate your social media channels within your event website so that people can like and share your posts. Maintain consistency across your event promotions and marketing to build brand awareness throughout the event journey. When creating your registration form remember to note what is or isn't included in the cost of registration. Alternatively, determine your guest list and consider if you have any VIPs or Dignitaries attending your event and determine their needs together with speaker and special guests. Ensure you comply with Monash University policy and have all contractors complete the Contractor Induction and any electrical equipment brought onto Campus has a current testing and tag. Remember to check your insurance to ensure you have adequate public liability cover for staff, volunteers and participants. to all staff and volunteers. Ensure all staff have a copy of the event agenda, site plan and circulate a contact list with mobile numbers for all staff members. Once your event has begun, don't forget to tweet about the event and share updates on your mobile apps to enhance the participant experience. Throughout the day, manage your contractors and co-ordinate the delivery of your event. After the event is over, organise the removal of all equipment and waste from the venue. Prepare a close off budget so you can evaluate the success of your event and share results with key stakeholders. Organise a de-brief session to identify key areas that worked well and areas for improvement for your next event.